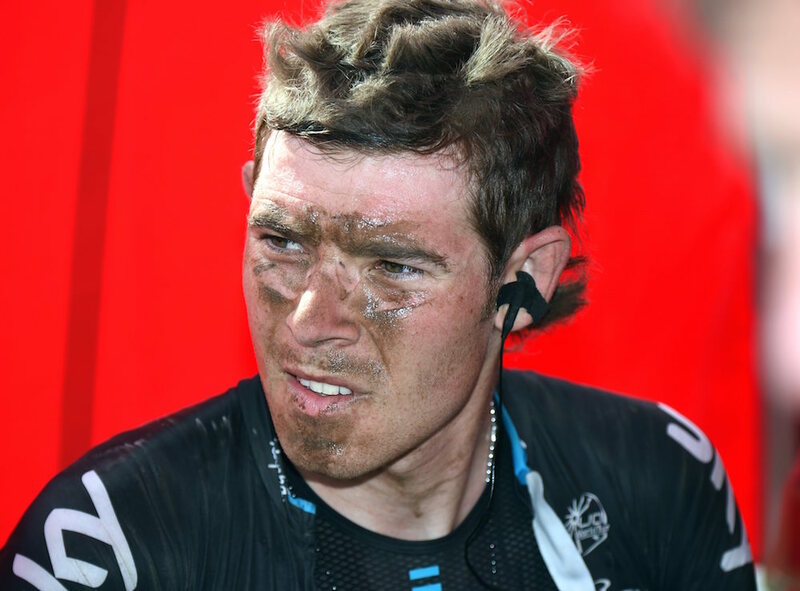 Luke Rowe believes that his eighth place finish in Paris-Roubaix today points to the possibility of future success in the race. The Welshman, who also placed in the top ten at Het Nieuwsblad and 13th in E3 Harelbeke, came in 28 seconds behind the leaders after attacking the chase group inside the final 4km. “Hopefully it says that one day I could realistically win this race,” he said in the track centre afterwards. “It’s my third time riding it. The first time I had to give my wheel away on the first section so it wasn’t a true Paris Roubaix for me. This is my second real hit out, so to get a top ten I think says quite a bit. Rowe got his chance to show what he was capable of when joint Geraint Thomas -joint Team Sky leader with Sir Bradley Wiggins- fell out of contention after a series of punctures and crashes. “It was a shame to lose G early on – me and [Ian] Stannard had to step up into those shoes,” he explained. “Sometimes […] someone else’s bad luck is your own good luck. Rowe’s own tale of woe was that he hit a protruding stone midway through the race and never found a chance to get a wheel change. But a lack of stopping power was no hindrance in the finale. “That winning move had already sailed unfortunately,” he said. “Me and Brad couldn’t get in that move – after 250km that’s not easy. “But I knew it was going to be tailwind for all the run-in, so if I could get a decent gap with three or four kilometres to go then I could stay away and round out the top ten. Perhaps it was good practice for the future that Rowe outsprinted Debusschere in the velodrome.